You are welcome to share this blog, or reblog/publish it with appropriate acknowledgement. Comments are welcome as long as they are respectful and constructive, and related to the post. The aim is to encourage a conversation, not provide a space for unrelated statements. No abusive comments – towards me or others – will be published. Ian, you have an extremely important blog going on here! Its a shame that the format you use appear to make it inaccessible to the audience you need to reach. Could you please find out what you need to do to make sure that your articles are included in either google or bing’s news searches on Zimbabwe. Also, could you add a Disqus feedback options so more people can discuss your articles? Thank you very much for the important work you are doing to further more scientific answers to Zimbabwe’s problems. Hi Batanai – Thanks for your comment. Glad you like the posts. I will look into your suggestions, although they are beyond my own technical capabilities so will consult others! However some of the blogs do get featured elsewhere, including in The Zimbabwean, African Arguments and the IDS blog series, and quite a bit of the traffic comes from google, so people must find them somwehow. But I definitely encourage more readership and more (non-abusive) debate. Ian, thank you for your research and work. While it is extremely controversial in main circles, you have remained apolitical and based your work on empirical research, kudos for you for that. I found your blog 2 weeks ago and have been reading a lot, I’ve learnt so much I didn’t know. In reply to you and Batanai’s concerns on a wider audience, I’m a big fan of the ‘Freakonomics’ brand, I’m not sure whether you know about it, but they are economists who, like you, tackle many controversial topics through books, podcasts, internet and TV. 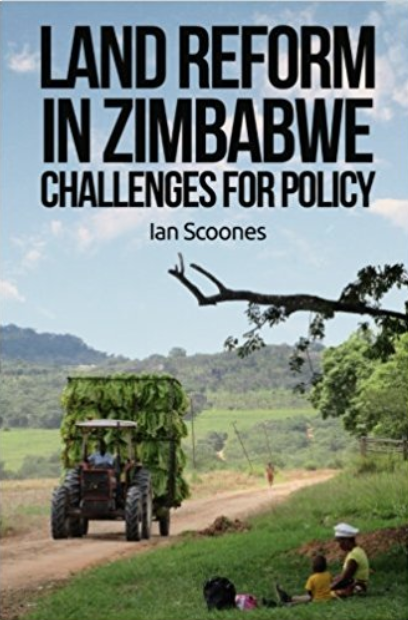 I’m not sure whether they would be willing to touch a hot potato like Zimbabwe’s land reform but from the topics they have done, you could contact them and share with them your work and possibly get to be on one of their podcasts as an expert. They have a following in the millions and that will really expose your work to a larger audience. Thanks! I’ll see if freakonomics might be interested. The blog is regularly carried by African Arguments, Think Africa press and All Africa as well as the Zimbabwe press but it’d be great to get a wider audience engaging with the debates. Meanwhile do share with your own networks!